The most powerful way of browsing Tumblr: So many Tumblrs and photos to look around? Need a grouping? Bookmark or quick access to your favorite blogs? Easy image save and video download? 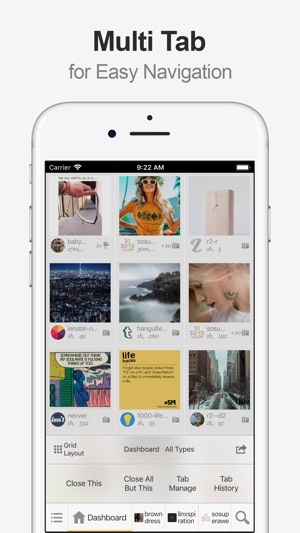 This app's multi-tab feature will be a definitive answer for your Tumblr app experience. 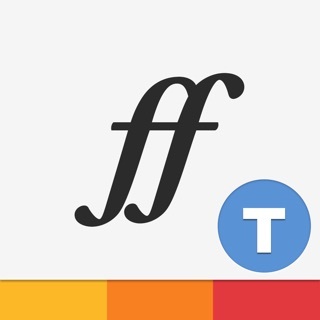 FastFeed is a series of iOS app that provides the 'Multi-tab' navigation for various social network services. FastFeed is currently available for Tumblr, Facebook and Flickr. • Multi-tab: Each feed is opened on a new tab. The tab has menus such as ‘Close This’, ‘Close All But This’ and ‘Tab History’. It also supports auto-hide/restore. 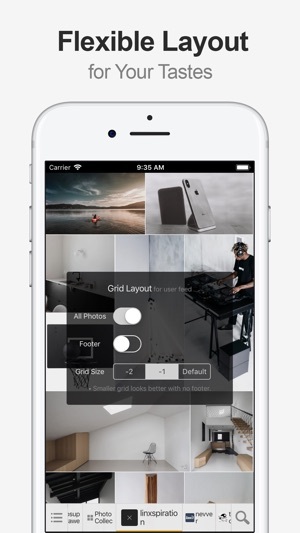 • Grid/Detail Layout: Grid for fast scanning, Detail for full size content viewing. You can switch both layouts easily by tap/swipe gesture. 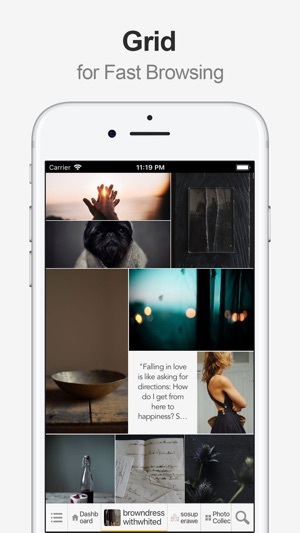 • FeedSet/FeedFilter: You can create a custom collection of feeds. • Smart Paging: Scrolling stops at the beginning of a nearest content. 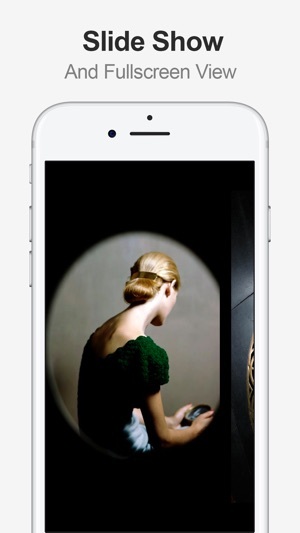 • Fullscreen image viewer supports endless scroll of all the photos in a feed. Slide show also supported. • Flexible content layout supports both portrait and landscape orientation. • Universal app for both iPhone and iPad. Support iPad multitasking(Slide Over, Split View, PIP). 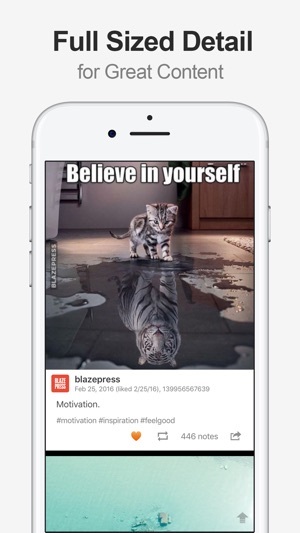 • Can post any type of content: photo, video, quotes, chats, links and text. • Offline posting - you can post anytime. • Known limitations on Tumblr: ask/reply, fan mail, notifications, tracking tags are disabled. (not provided by Tumblr API). 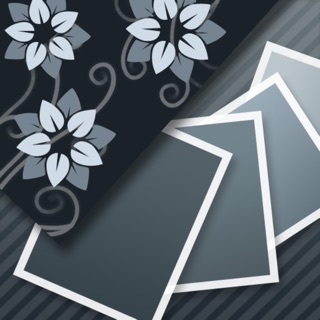 • You can use this app freely. But some features are required to purchase. • The following are exclusive to subscribers: Remove all ads, Unlock FeedSet limit, Tap options, and more features. • Subscription for Premium Features offers yearly option. • Subscriptions may be managed by the user and auto-renewal may be turned off by going to the user's Account Settings of App Store. • Remove nsfw tag search according to new Tumblr content policy. I am blown away that the developer rolled out an update to support older ios versions such as mine 1 day after reporting a performance bug within the best Tumblr alternative app in the entire app store. I used the feedback option within the app to send an email explaining what problem I was having, and I was shocked I got a professional email reply in less than a day, but completely blown away they fixed it in less than 24 hours with an update waiting in the app store for me to download. I have 250+ feeds and this app handles all of them so efficiently and even gives you the ability to give you a hands free slide show. There are so many excellent features not even listed in the description. Again 100 stars for the app itself and 100 stars to the app developer (i wish I could give 100). I absolutely recommend this app to everyone that uses Tumblr!!!! Previous update contains image/gif performance improvement utilizing more recent iOS API. But it fails to perform better in older iOS versions. We should test it more. Sorry for the inconvenience. We have released a newer update to support older iOS versions. Please update and check for it. This app is a MUST HAVE for anyone on Tumblr who likes to blog from their phone. I don't know why it doesn't have more of a following, because it's better than the official version in every conceivable way. The most amazing feature? It doesn't force a full refresh every time you switch to a different app and return! 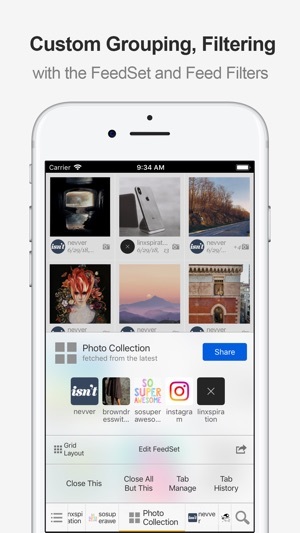 You can turn your phone OFF, and Fastfeed still has your back - whatever blog or tag your were browsing is right there when you open it up again. It also lets you open any Tumblr links in tabs, which is one of those "where has this been all my life??" features. That's just scratching the surface, too - seriously, your mind will be blown at how much control you suddenly have over your Tumblr experience. I've been using it for six months, and I'm still amazed by it. I can't even imagine going back to the official version! Simply amazing! Favorite App Ever!! I could spend a lengthy review explaining all the incredible features Fastfeed has but the reviewers have already done that instead, let me say I never boast in praise of an app and certainly don’t take the time to write a review but discovering this app has earned such worthy praise. If you use or have used Tumblr before FastFeed will completely change your life well, ok maybe not that but your Tumblr experience in a way that is exhausting to describe. It will open up using Tumblr in a mind blowing way, you’ve never experienced! Trust me, you just have to try it like I did and you’ll see that this is not an inflated overblown review.